You only plan on exchanging vows once in your life, which is why you want to look your best when the big day arrives. Depending on the type of wedding dress you choose, you may find that it doesn’t offer nearly as much support as you need. The right garments worn under that dress can give you smooth lines for a thinner shape and keep everything in place. One option for brides who want an hourglass figure is a corset. This is a garment that has laces going up the back. The tighter you pull those laces, the more it will keep your body tucked in. Corsets are usually strapless and will fit underneath any type of dress. You can pick one in a lighter color like white, cream, or even skin-colored to keep the corset from sticking out. Depending on the style of wedding dresses in Columbus, brides may find that they cannot wear a traditional bra under their dress. You’ll risk the bra straps sticking out from the straps on your dress or popping over the top of the dress’s front. A stick-on bra is an alternative that will work with most dresses. This bra is smaller in size and has an adhesive backing. You simply arrange your breasts, remove the paper from the back, and affix the bra to your chest. While a garter may not offer much support, it’s a classic undergarment worn underneath a wedding dress. Couples usually have the groom remove the garter and toss it into a crowd of single men. The man who snags the garter and the woman who catches the bouquet then dance together. If you want to wear stockings, you can use a garter belt to keep those stockings up as you dance the night away. 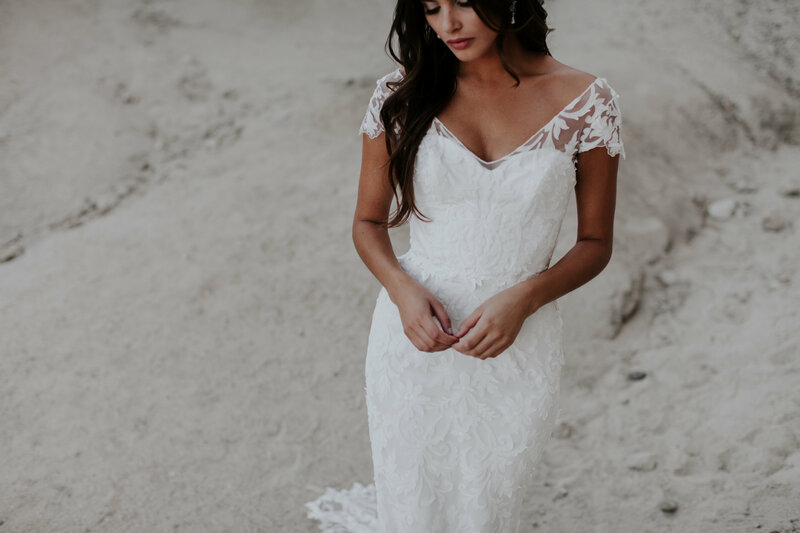 Choosing the right garments to wear under your wedding dress will give you the support and look you want when standing in front of your loved ones.